Careful home staging is an established approach applied to sell a home here. 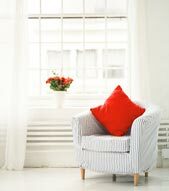 Some positive aspects of home staging include less time on the market and more offers. If you want to sell your home quickly, think about a well-planned home staging strategy. Look at staging your house as creating a "style" for your house similar to what a publicist would do for a high profile politician. Just like creating an image attracts more popularity for a public figure, staging makes your real estate look better when it's on the market. Begin with the exterior of your home, better known as your curb appeal. 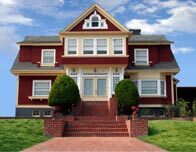 Inspect the exterior of your house from a quick glance from the street. What jumps out at you? What great features seem waiting to be noticed? Knowing this helps us to choose what plan of action we can use to entice buyers from the street and into your home. If your house isn't at its best on the outside with touched up paint and blooming greenery it's time to get those things done. Follow the Curb Appeal Checklist and elevate your house's final selling price. Could a buyer picture themselves hanging out in your living area, reading a good book in your reading nook or hosting a dinner in your eat-in kitchen? We want your home to pleasantly accept buyers and offer them a sense of comfort. We'll help you do this by suggesting small improvements that enhance your house's features. We'll help you put in storage anything that gives the impression of clutter. Tabletops should be free and clear. Arts and crafts, sentimental items, family photos, and play time works of art should get moved out of sight. You need to "generalize" the home so buyers can picture it as their new home. We'll review every room of your home. Changes that directly affect your bottom line include easy-to-fix items like furniture pieces that should be rearranged, rooms that need neutral paint, carpet that needs steaming, fixtures that need replacing, and windows that need cleaning. Buyers' agents know that their clients want a home that invites them inside. Decor that could be uninviting should get moved out so that your house will achieve mass appeal at the open house. The entire time your house in on the market, we want to capture buyers' attention. Shadows are a mood changer and we'll part the curtains, and add lighting where needed to invite the buyer inside. Together we'll enhance the air of the house with enjoyable music to listen to while guests tour your home and ensure a delightful aroma flows room-to-room. We'll include cozy-looking bedspreads, and pillows on your sofa and bedding. We want buyers to feel like your current house is their future home. If you want extra information on home staging to sell your property quickly in California, Texas, or Florida, Florida, contact Morris Williams Realty and we'll assist you with designing the best image for your home.